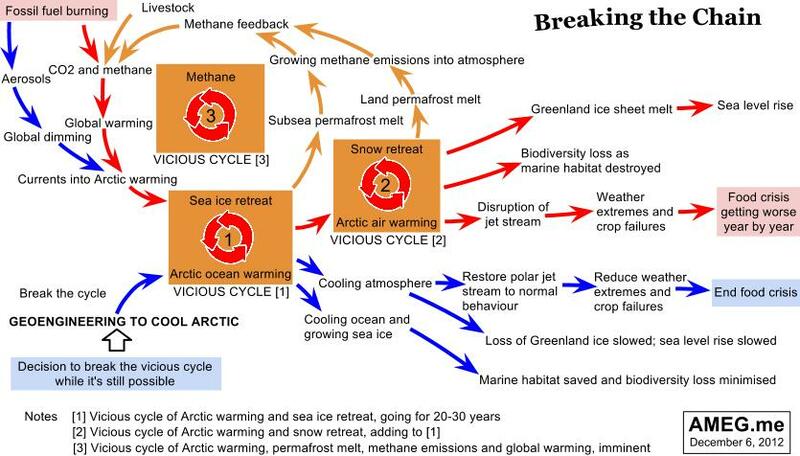 Cooling of Arctic and Peace are two of the prerequisites for Earth to live. Keeping life in the Sea and Forests standing along with coral reef alive will take an all hands on deck mobilization worldwide. 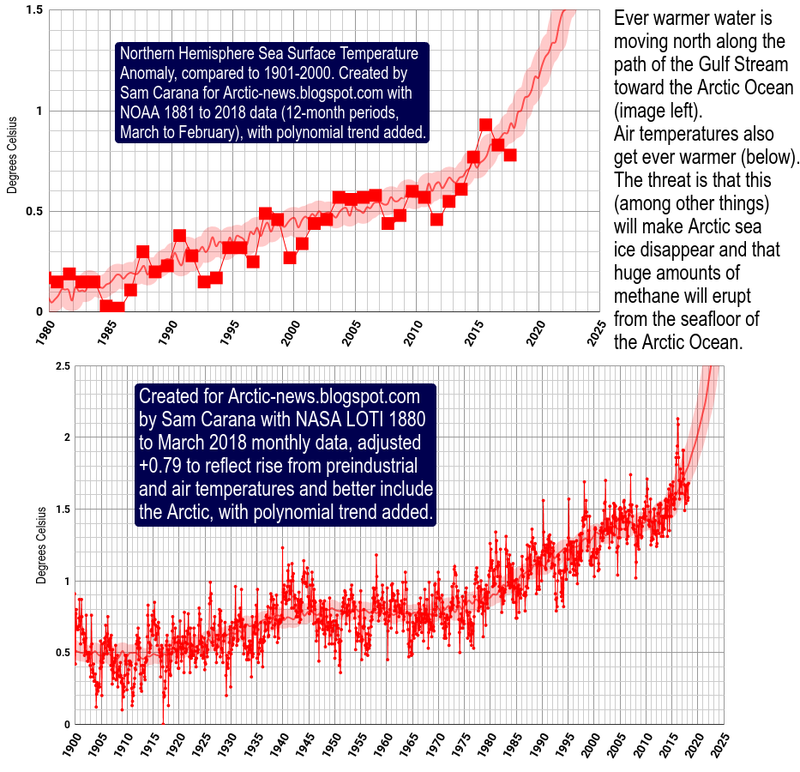 From description of what's involved in the Arctic, what's happening and needed to keep a lid of sea ice on things and the speed of deployment of vast effort needed, it seems beyond daunting to say the least, to mobilize this. 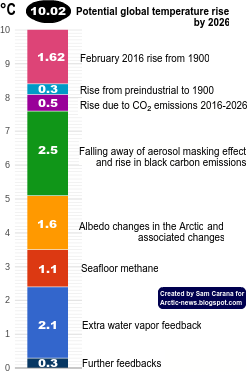 Five times beyond daunting unless full force is directed by alteration to money's value force.. Each present bit of energy available could be directed toward trying to keep Earth below the 2C theoretical max temperature rise tipping point to keep from Abrupt Climate Change. But the fact is Abrupt Climate change is upon us, upon Earth and hammering her systems.. World is in denial when rally call is made and a test is on. I'm flat out asking for friends in high places to help in creating the action needed to keep Earth alive.. It'll take a breakthrough in communications by the Grace of god to Act of God: alter monetary value aligning its worth with its affect; Protect Mother Earth. We can't all be idiots floating down a river in an inner tube toward waterfall over many cliffs of solitary isolation at same time in sync with Earth's Fate.. The fact essentially it is possible on line communications and science are up so we as a specie if we choose can be aware of what's happening and ask Why, That is an indication hope has a chance and things are not yet too far gone. But the window of opportunity is closing and friends in high place would agree. That unless Real action to protect Earth and her Life the cliff coming is Real.